John Wilkes, the libertine supporter of William Pitt and editor of the North Briton newspaper, was arrested and imprisoned for his fierce attacks on King George III and his prime minister, the Scottish Lord Bute. 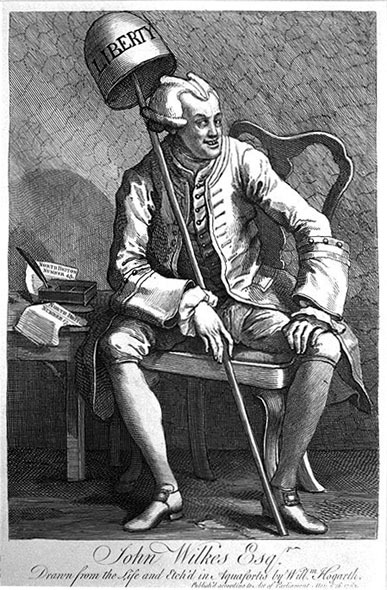 Hogarth represents Wilkes in this portrait as a foolish grinning man with demonic horns formed by his wig. Yet, this sentiment was not shared by the masses, for whom Wilkes became a martyr of liberty.